I’m a bit of a homebody, so travel helps me break out of my shell and the rewards are amazing – I love exploring new foods, wines, artists and I love meeting new people. I had a great aunt who served overseas in World War II and she was such a spunky, adventurous spirit who never let humble circumstances stop her from dreaming. I’m an organizer/planner. My idea of spontaneous is switching from blueberry pie to apple at the last minute. My husband is a bit more relaxed so we balance each other out well. Unpacking! I love packing and start days, if not weeks in advance, but I drag my feet when it comes to unpacking. My work focuses on value and I try to follow my own lessons. I spend more money on what I really want from a trip and skimp on the less important parts. When I was in Maui, I really wanted to do a wide range of activities – snorkelling, roadtrips, National Parks, farms – and we stayed in a modest cottage a few blocks away from the beach to save money. 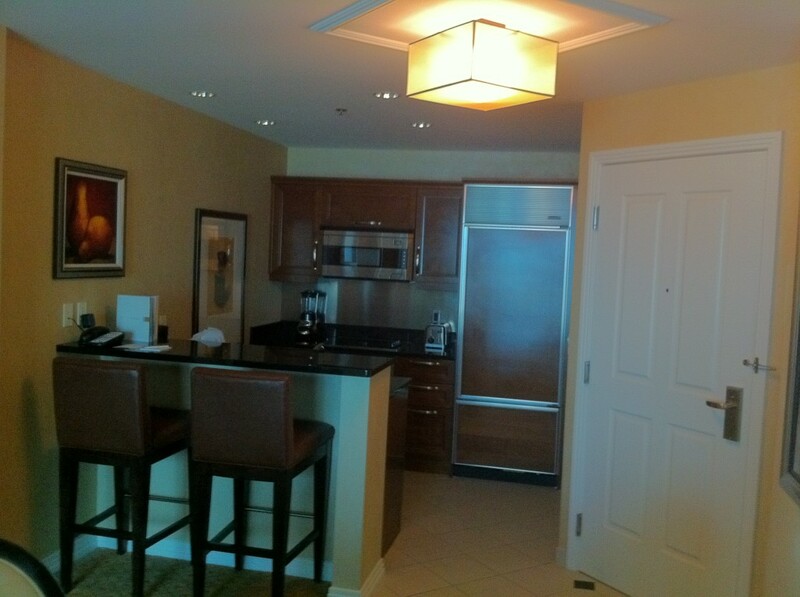 For our wedding anniversary in Vegas, we splurged on a gorgeous suite at the MGM Signature – it was romantic, relaxing, and the perfect place to recharge midtrip. The suite came with a kitchen and one night we spent about $5 to make ourselves spaghetti for supper. I was just as happy as if I had gone out for a fancy dinner. Gorgeous suite at the MGM Signature means cheap dinner! Coffee farmers at Island X (The Old Sugar Factory) on the north shore of Oahu. Great people, helping a community revitalize – and phenomenal coffee. Living in Newfoundland for graduate school. I’m originally from the East Coast of Canada and I thought it would be an easy adjustment but there were many subtle cultural differences I wasn’t prepared for. Overall, it was a stressful time to balance school and personal life and I never got much opportunity to travel and explore. They’re usually financially related! I also have motion sickness that decides to make a reappearance at the worst possible times. Once again, I apologize to the riders of the CAT ferry from Portland Maine to Yarmouth Nova Scotia! See above. CAT ferry, choppy waves, no medication made for vomit all over the children’s theatre. My blue speckled sarong, mini stuffed bunny key chain, and cocoa butter lotion. All three are always in my pack! 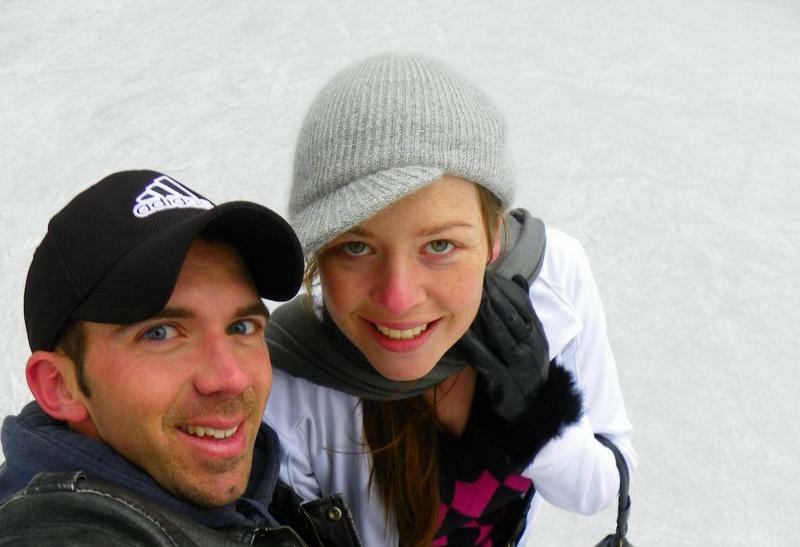 Here’s the history of how they became my best travel friends. I want to go to Cuba and soon. As a Canadian, I can travel there easily and affordably, so I don’t know why I’ve been putting it off. It won’t be long before the golden arches make an appearance in old Havana and I want to see it before it changes. Invest in good quality, supportive, comfortable shoes. Break them in before you go but still bring some flipflops for back up! Nothing else matter if your feet hurt. Because there’s got to be more to life than sitting on the couch, watching crime show reruns until you die! 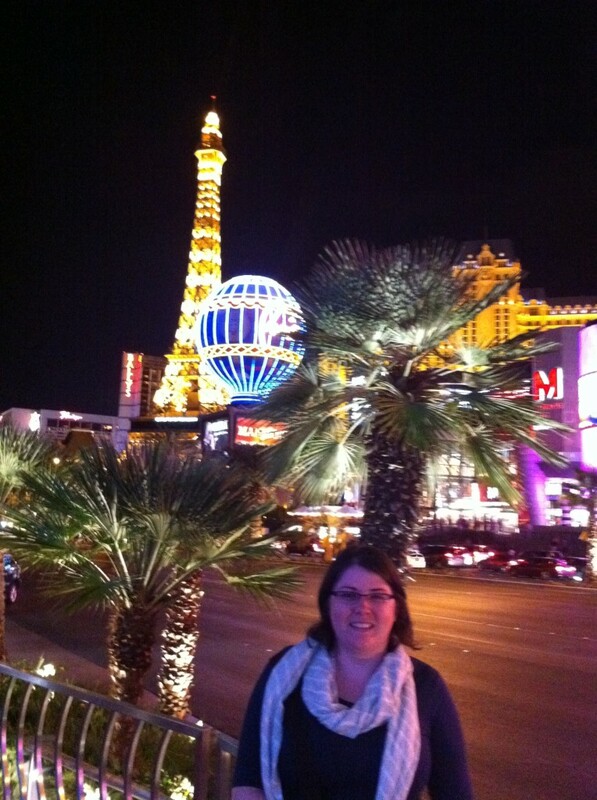 Living it up in Las Vegas! Turnipseed Travel is passionate about great value -getting the absolute most for your hard earned dollars and days off. Our value travel philosophy tells you where to save, when to splurge, and how to make every moment count. Be sure to follow Vanessa on Facebook and Twitter! This was an interesting interview to read–thanks! At first I was surprised to hear you experienced culture shock within your own country, but then when I thought about it, I realized that when I moved from New England to South Florida it was also a pretty big culture shock for me! Thanks Dana – so glad you enjoyed the interview! I think after traveling for so long, culture shock on returning home is the kind of shock which probably hits the most. I think really any kind of new environment has the power and potential for culture shock – though we have a pretty good ability to adapt thankfully!! Hope you’re enjoying South Florida! One of my favorite spots in the US! Thanks again for featuring me – so glad to be a part of your site! Always glad to feature inspiring and talented women! Wishing you a wonderful 201!